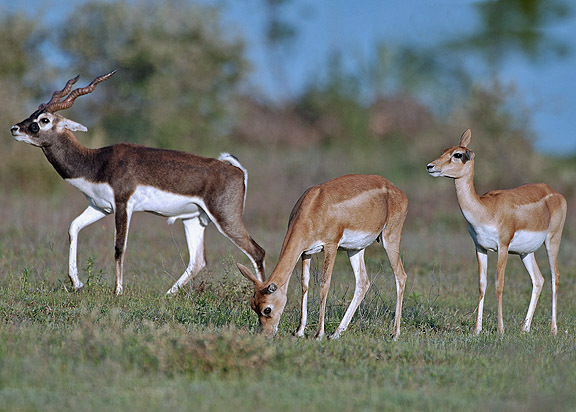 When most people think of an antelope, they think of bounding creatures traversing the grasslands of Africa. Well, as it turns out, not all antelope are large. The Abilene Zoo got a new resident as of July 7th. The Blue Duiker antelope is now on display for the public to “aww” at. Blue Duiker Antelope live in forests in most parts of Africa. The latest addition to the Abilene Zoo, christened Maji, was born in early July and is now living with his mother in the Giraffe Safari exhibit. “Maji” is the Swahili word for “Water.” He was born a healthy weight and is doing well. His mother, MKia, is doing just fine too. MKia is a two-year-old Blue Duiker antelope and weighs just nine pounds. She made her way to the Abilene Zoo last year. The mother and son enjoy eating apples, grains, carrots, and other herbivore cuisine. Maji’s father, Spark, remained out and about in the Giraffe Safari while his family was recovering from the birth. They’ve since been happily reunited when MKia and Maji ventured into the exhibit on their own. We at Hanner Chevrolet are happy to see such an adorable antelope join the pack at the Abilene Zoo.